Electronic Document Management System and Risk Management. Drag & Drop emails and attachment in your shared repository. Send & file an email. Edit your document in Microsoft Office and your changes are automatically applied in the store. Fully compatible with Windows 10 ! Convert your email into tasks, and avoid emails overload. Each email can be reassigned to your team, archived or deleted in order to keep a clean and organized inbox. Bridge the gap between teams and departments. Work efficiently and make information flow easily. Share files across your organization with peace of mind. Store and manage any file type in Dynamic Flows, with built in viewer for a large set of file types. 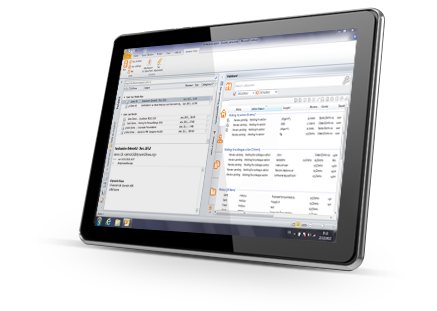 Define your own folder structure ando optimize your business process - in a fashion you want. Ensure that everyone works on the latest version, and eliminate the risk of losing information. Change tracking is enabled through the preservation of the edit history, allowing you to see who made changes, when they were made and eventually rollback. Allow documents to be exposed both internally and externally, depending on your needs. Securely publish your document to your customers. Set up tags or metadata customized specifically for your organization, empowering you and your team to search for and locate documents quickly and easily. Lightning fast search through the entire contents of documents or emails, including attachments. With the built in encrypted store, secure files with user restrictions, along with Active Directory integration. All files are encrypted and anonymized on the server to ensure that accessibility is restricted to authorized users only. You can set custom access rules based on groups or individuals, or restrict by customer or projects. Documents requiring review can be assigned to different users. Track the status of each document as it cycles through your team. Automatically takes an action if the document is not handled in a defined timing. You have more control on efficiency and completion time for all the organization's processes. We gives you the tools to manage all your customer interactions in one place, easily and efficiently. We put related Contacts, Tasks, Notes, and Files into one comprehensive Dashboard. 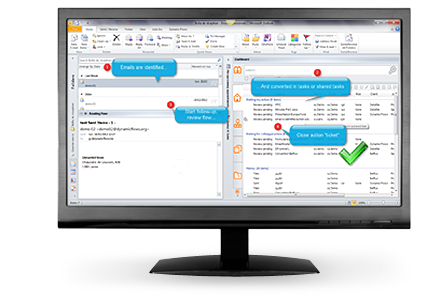 The native Outlook integration bring your customer and contact information when you select an email. Use template to generate auto-filled email. 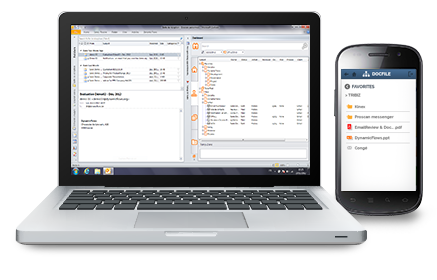 Call your customer in one click using integration with softphone. Apply chinese wall security model (Brewer and Nash model) and provide controls that mitigate conflict of interest. Prioritize your tasks and get more done with a to-do list. Easily assign tasks to your employees. 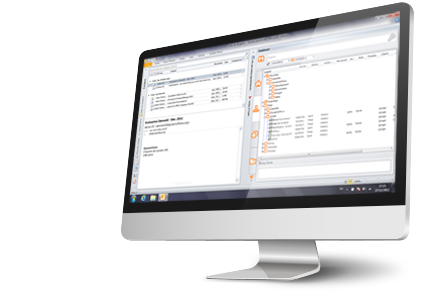 Configure task workflows to fit the organization's processes. Automatically assign tasks to teams and track activity. Effortlessly track time for projects and fill your timesheets when you handle a task, send an email, edit a document, or call a customer. Convert your meeting into timesheets. File an email and create a task in a click. Close the task when you reply to the mail. Get done with your monthly invoicing in seconds. Using our outstanding template system, create and send beautiful invoices and impress customers.